Since 2000, Carla Juaçaba developed her independent practice of architecture and research based in Rio de Janeiro, Brazil. Her office is currently engaged in both public and private projects, focusing on housing and cultural programs. During her first year after college (2000) she worked on the project named “Atelier House”. Following that, a series of projects have been conceived such as the “Rio Bonito house” (2005), the “Varanda House”(2007), the “MinimalHouse” (2008),“Santa Teresa House” andthe "Hospice" in its final stage (2014), and a couple of exhibition design. Current works includes the ephemeral pavilion conceived with the senior scenographer and theather director Bia Lessa, “Humanidade” for Rio+20, the recent international meeting held in Rio de Janeiro. Carla Juaçaba is constantly a part of the academic and teaching realms, as well as research studies, lectures (Harvard GSD; University of Toronto - Daniels; Columbia GSAPP; UF University of Florida; Escola da Cidade-SP; Woodburry University; Latitudes-University of Texas at Austin), Workshop at IUAV di Venezia 2014; , biennales ( La Biennale Di Venezia - Pavilion of Brazil ), exhibitions and recently was the Jury at BIAU Bienal Ibero Americana in Madrid (2012). 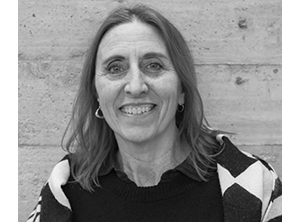 She won the first edition of the international prize ArcVision Women and Architecture in 2013, and recently was nominated for the Schelling Architecture Award 2014; MCHAP Mies Crown Hall Americas Prize and the BSI Swiss Architectural Award.